Montessori@Matakana: A Lesson in Ballistics? 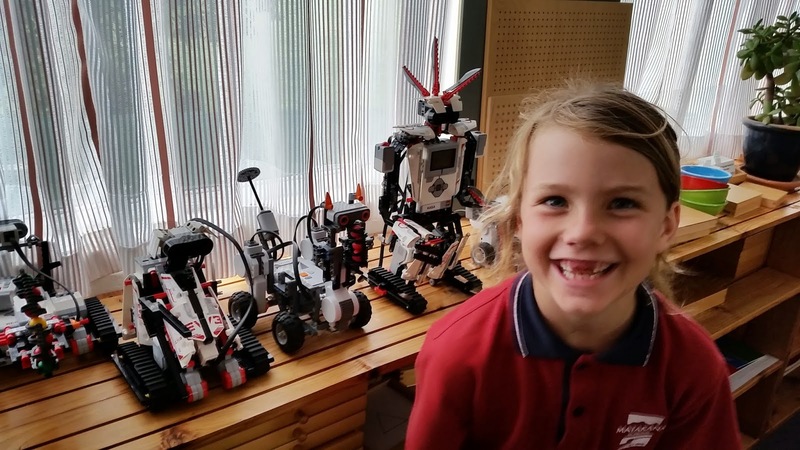 You parents can be very proud of your children because they have completed building the most complex robots from the Lego set instructions. I was not sure at the beginning, but they've made it through. 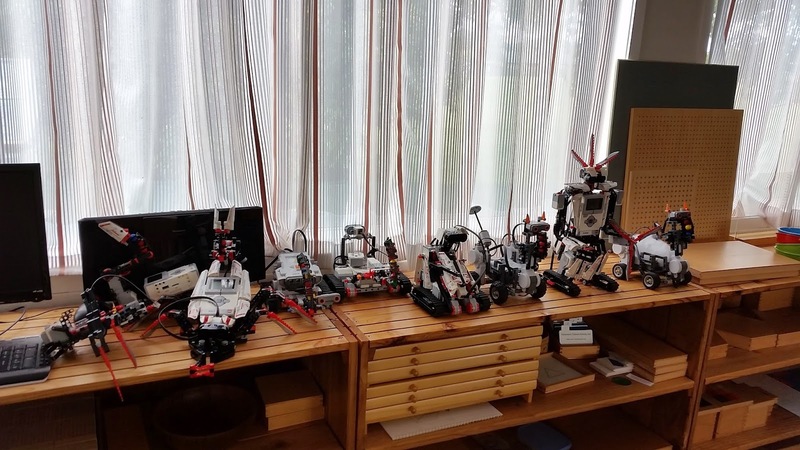 The students built the robots themselves and I was only involved in settling disputes regarding borrowing of some Lego pieces between the teams. A huge thanks to Jackie who saw an opportunity to teach children the right way to share the pieces (as opposed to "steal" them). It just happened that all robots include an attachment to "spit" or shoot Lego plastic balls. Initially I thought we would just use the shooters to write programs that will teach how to use sensors. For example, the robot cruises around, senses an obstacle, gives a warning, then shoots. But now I think we can spend at least one entire session on some experiments in ballistics and projectiles. Let's measure angles, distances, ball weights and shooting power and draw some charts.